Crema is that signature tan-colored foam that rests on top of a freshly pulled shot of espresso. While crema appears to be a secondary aspect of a great cup of coffee, there is a little more to it. Oddly enough, crema actually comes with controversy and competition. It is either the sign of a perfect espresso or an overrated foam that's great if you get it, but no big deal if you don't. 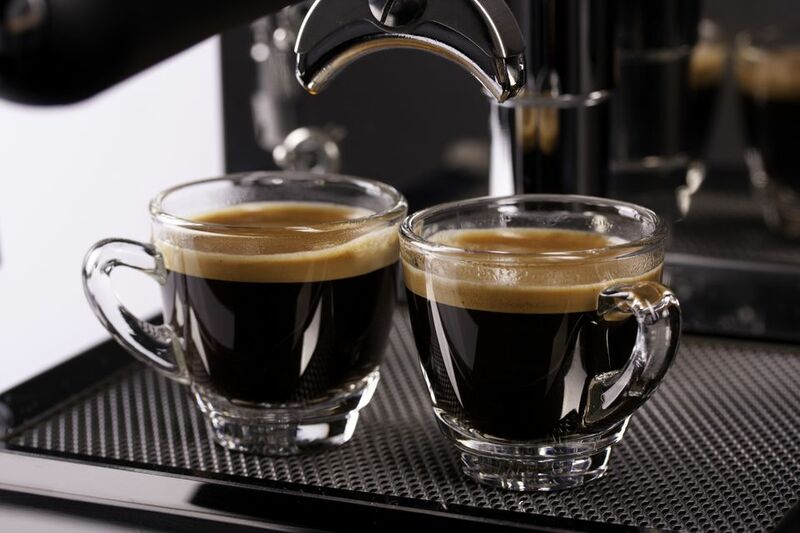 Crema is a flavorful, aromatic, reddish-brown froth that rests on top of a shot of espresso. It is formed when air bubbles combine with fine-ground coffee's soluble oils. Some people refer to this as the "Guinness effect" because it mimics the head on a pour of the popular Irish stout. The strong presence of crema in an espresso shot indicates a quality, well-ground coffee and a skilled barista (professional coffee maker). Crema helps give espresso a fuller flavor and longer aftertaste than drip coffee. What Is the Perfect Crema? Baristas will have different opinions about what they consider to be the perfect crema. The goal is to pull a shot of espresso with a crema that is not too thick, nor too thin, and one that lingers for about two minutes. Troubleshooting crema can become complicated, but here are a few things to keep in mind. If you have too much crema in the cup, you will have less espresso. Many baristas strive for a crema that is about one-tenth of the espresso. Over-extraction, under-extraction, and the coarseness of your grind can all affect crema. If your crema "drops" (goes away) after less than one minute, then the extraction was too fast or the coffee roast too light. Extraction from a quality espresso machine should take between 15 and 30 seconds, though this may vary from one machine to another. Remember to allow your machine to warm up before pulling a shot and clean the machine regularly to ensure it continues to work properly. A dirty machine will also contribute bitterness to your espresso. You may not be in complete control over your espresso's crema. Beyond perfecting the technique of pulling a shot, crema can be affected by the following factors. How freshly roasted are your beans? Freshly roasted beans form more crema on espresso. This is because the coffee bean oils are still out-gassing from the roasting process. If your local coffee house roasts their own beans, you may notice they have a more pronounced crema than one that doesn't roast on-site. How dark are your beans? In general, the darker the bean, the less crema you will have. This is due to the oils rubbing off while handling, packaging, and grinding. Then again, a very light roast is not known to produce an ideal crema, either. You will notice many coffee companies offer an espresso roast, which should have the perfect amount of oils. How were the beans processed? Naturally-processed beans will often produce the best crema because more of those oils are left intact. How does your espresso machine pull a shot? Many espresso machines sold for home use have automatic controls. While this is convenient, the process can limit the formation of crema compared to a manually pulled shot. Some automatic machines try to make up for this by creating an imitation crema. While it can seem that a good crema is the definition of a perfect cup of espresso, it is not as critical as some make it out to be. It does add to an espresso's flavor and is desired. Yet, in reality, it is absolutely possible to have a great tasting cup of espresso without the perfect crema. Espresso is about the taste. If you enjoy your cup, that's really all that matters. Don't get the crema blues or think that you somehow failed at your attempts to pull a good shot. Remember, the beans, roast, and machine play a big role and one or all of those may not sway things in your favor.